Story of a young woman and the joys and pitfalls of trying to make your own way in New York City. 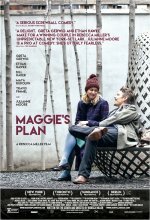 Maggie's Plan release date was Friday, May 20, 2016. This was a Limited in theaters release.